The first public beta version of ExactFile is now available for download. For details on ExactFile, see the ExactFile home page. This beta release is mostly functional. 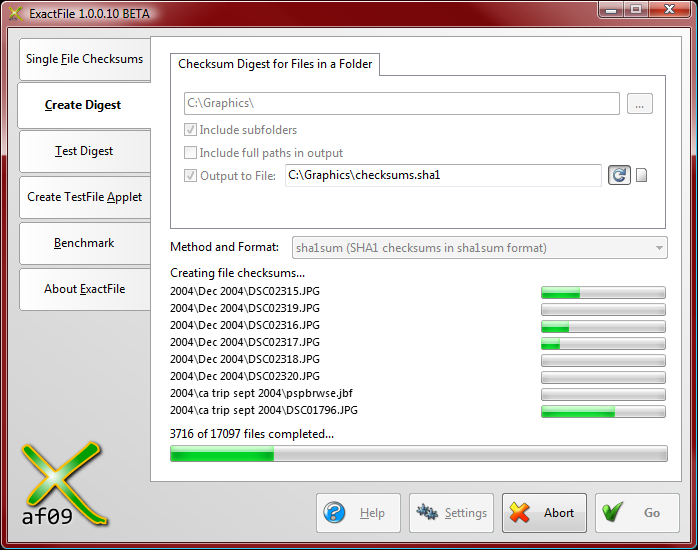 The file checksum, digest generation, digest testing, and hash benchmark functions are all quite usable. I will be updating this web site over the next few days to explain the various features of ExactFile. For now, I just wanted to get the beta posted. If you use FileCheckMD5’s “portable” functionality (for CDs, USB memory sticks, etc), you will want to keep FileCheckMD5 around for that purpose (until the Create TestFile Applet feature is implemented). 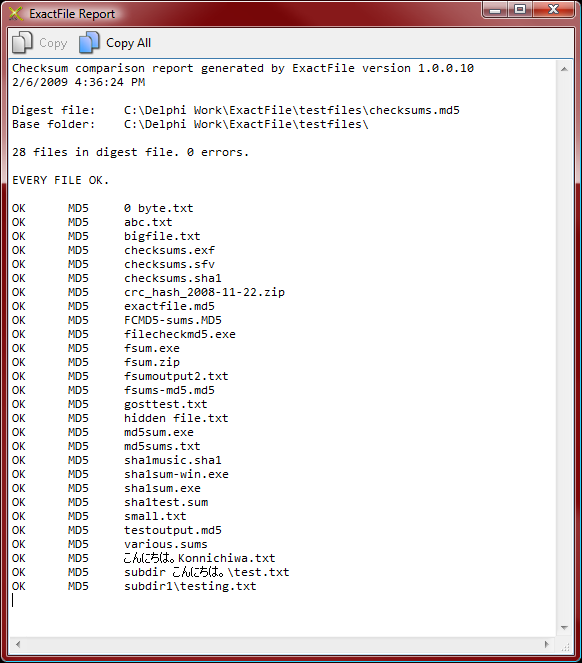 ExactFile can generate FileCheckMD5-compatible digest files, so you can still use it to make your checkfiles. This is fairly trivial — just load up ExactFile, click the Create Digest page, and set your target folder and the digest type to fcmd5. Make sure FileCheckMD5 is in the target folder as well, and you’re good to go. 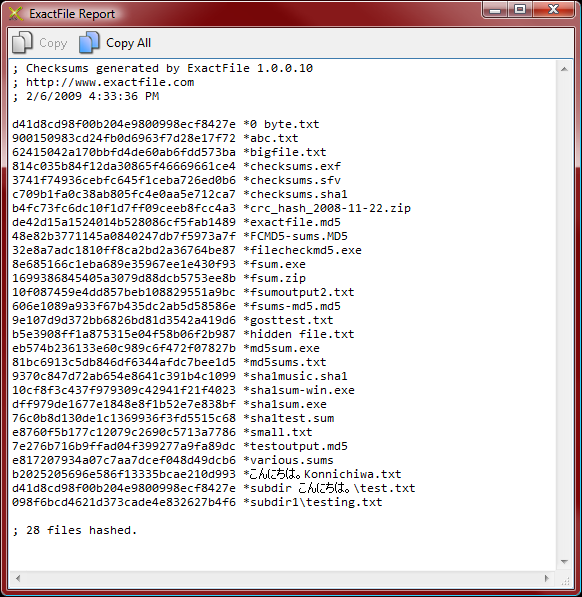 This entry was posted in ExactFile, Updates and tagged ExactFile, filecheckmd5, update on February 6, 2009 by Brandon.